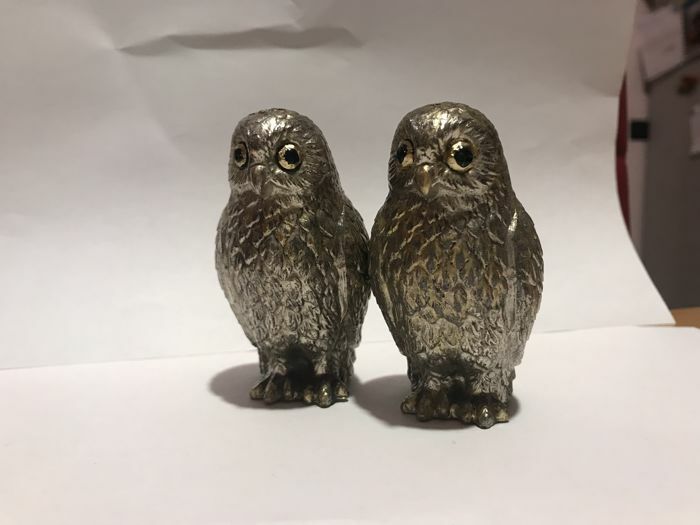 Pair of owls, Italian vintage salt and pepper set, second half of the 20th century. 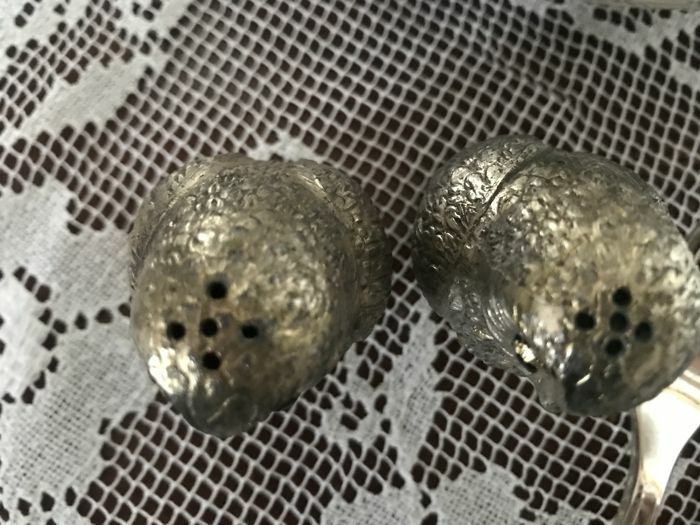 Height: 7 cm. 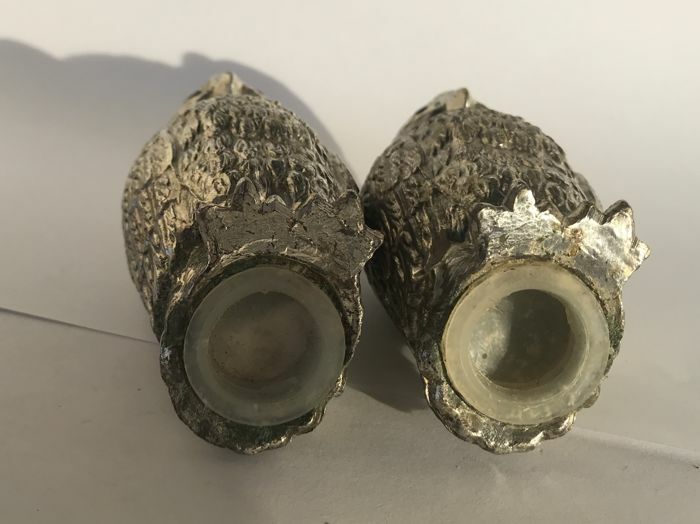 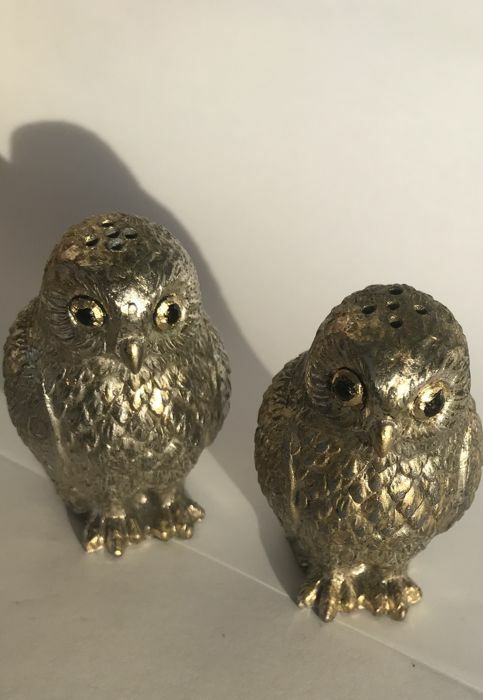 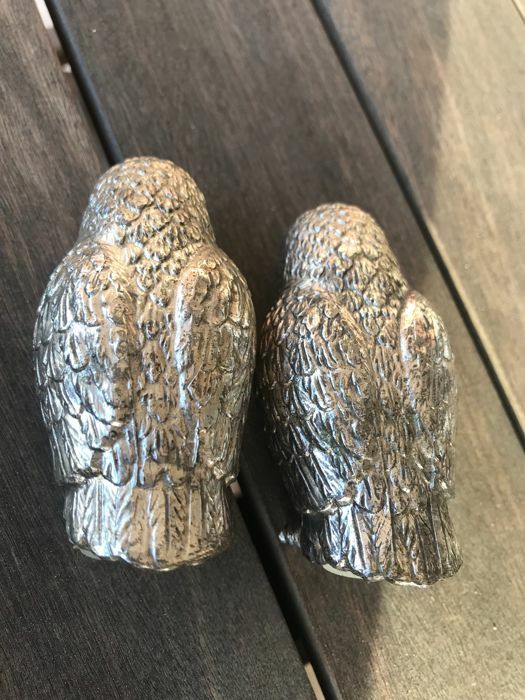 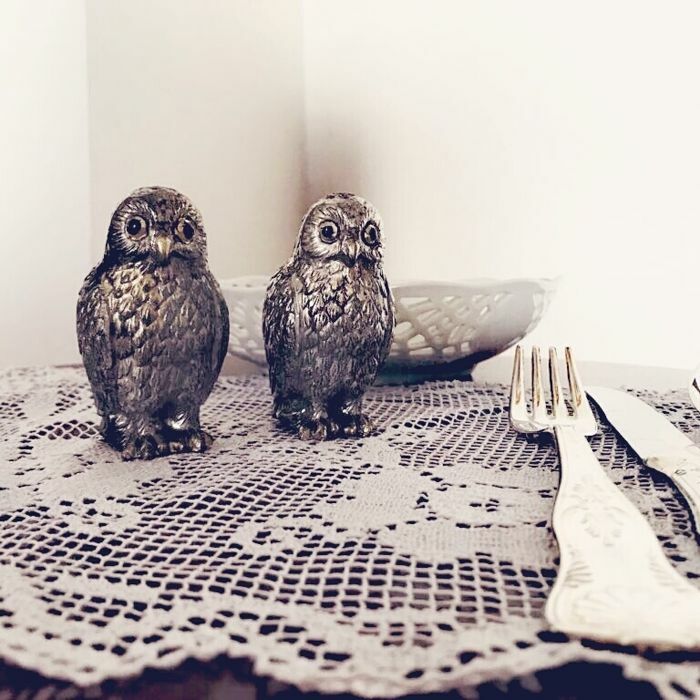 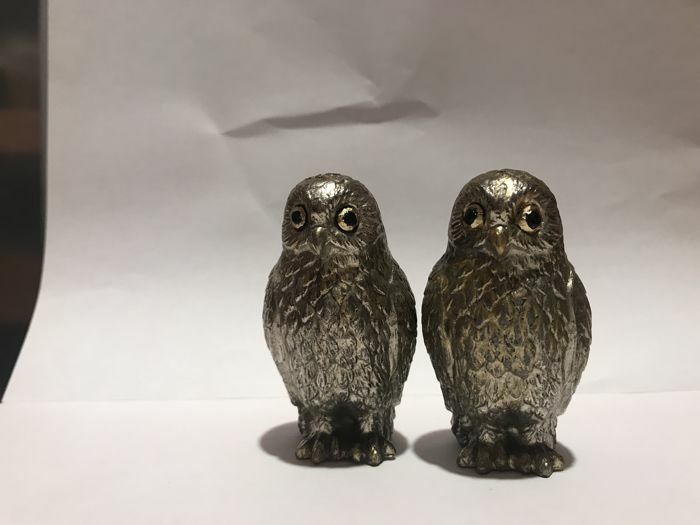 Vintage silver tone, Owl shaped salt and pepper shakers. 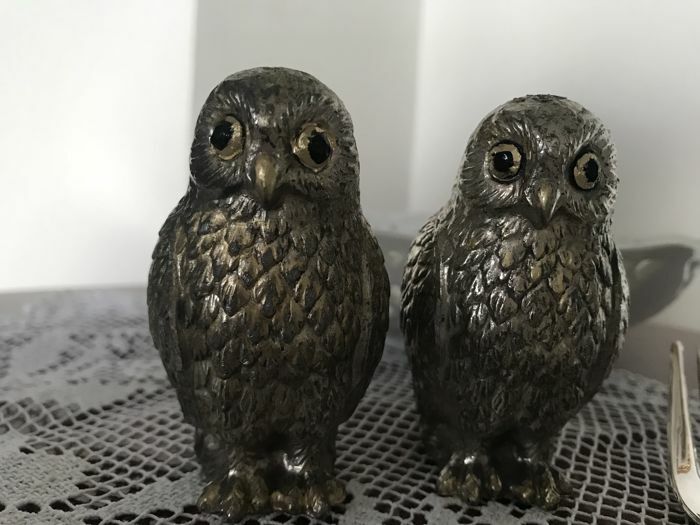 This is a pair of fine salt and pepper shakers. 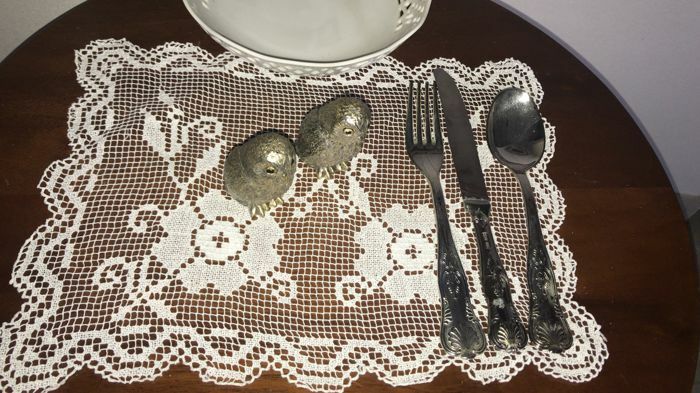 they are perfect for a dinner or a special event.